June is here and so are many, many mission volunteers who have come from far and near to serve in Kentucky. Whether it be a preaching, teaching, prayer walking, working with children, painting, carpentry, or other, all use their gifts to show and tell the love of Christ. I was privileged to see some of the teams in action last week and heard about many others. Since we have just launched our “iGo…do You?” initiative, I would like to share a few recent Kentucky mission experiences. A Carpenters for Christ team from Mississippi, brought 100+ men and women to Hickman, KY last week to erect a new building for West Hickman Baptist Church, whose old building was destroyed by fire in 2013. Volunteers from 13 different states were a part of this team. 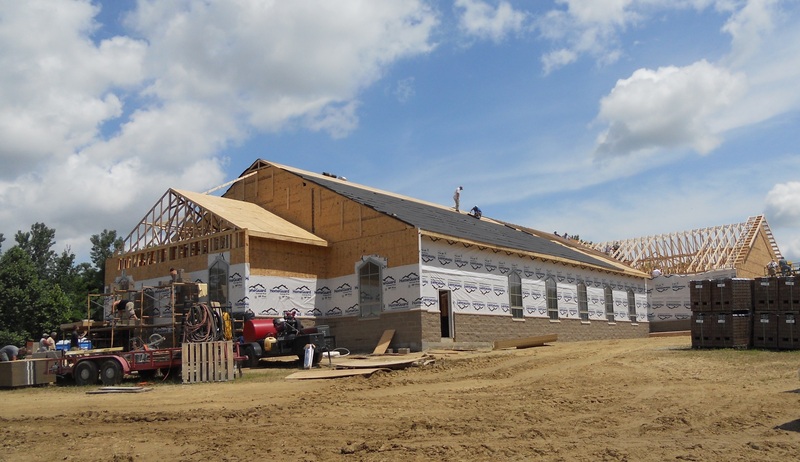 Another Carpenters for Christ team based out of Auburn, AL brought 90 men from 23 churches in 8 states to Paducah to build an education wing for Friendship Baptist. A team from Valley View Baptist in Louisville is in Booneville this week doing a cookout for the local residents, having a free yard sale, and hosting numerous outreach events. Seven teams from various states (GA, TN, NC) are at Cedaridge Ministry in Williamsburg this week working in food ministry, one-on-one evangelism, ministry to mothers and children, putting up a new building for a church whose building burned, home repairs, and work at the Cedaridge building, including mowing and cleaning. A team from Falmouth, KY will be at Cayce Baptist Church in Fulton next week to assist with Vacation Bible School. In July Pulaski Baptist Association’s Kingdom Kids leaders will be going across the county line to lead Vacation Bible School at Polly Ann Baptist Church in Lincoln County. I, too, am “on mission” this week assisting a neighboring church with Vacation Bible School. Not only is Kentucky receiving but many in Kentucky are “going”. Have you been, or are you going, “on mission” this summer? Whether locally or abroad, please share your experience on the “iGo…do You” Facebook page. We love to hear the stories of what God is doing through you.